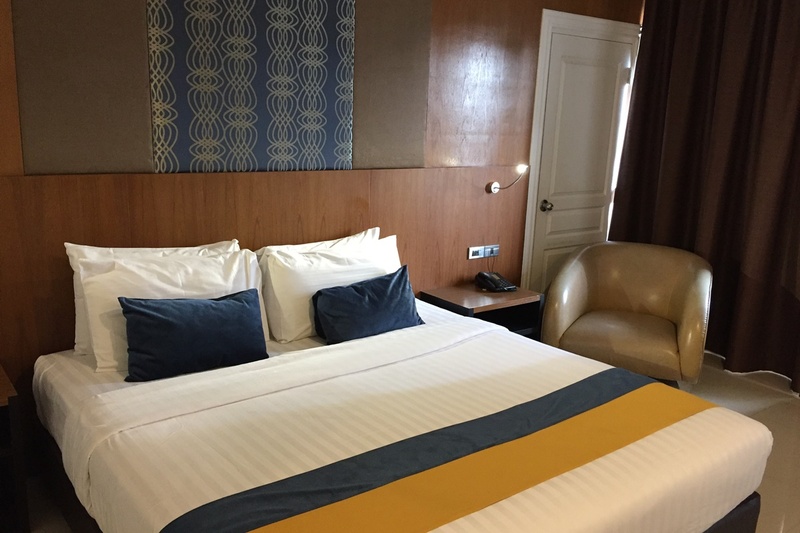 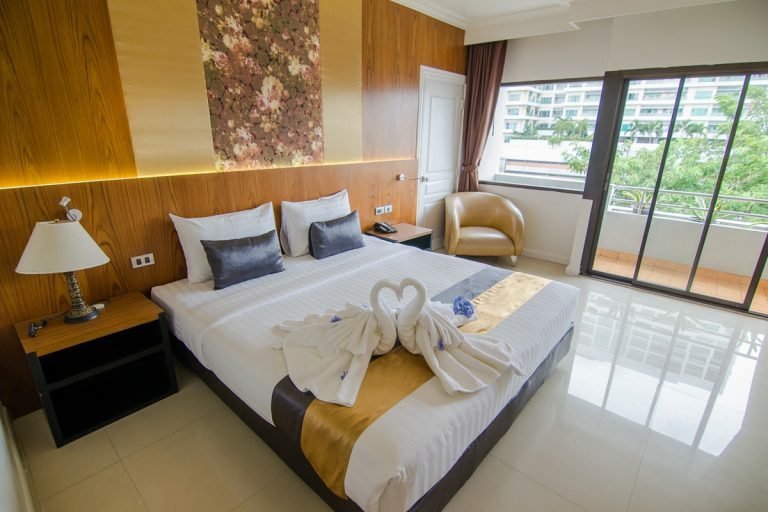 Forum Park Hotel is a budget-friendly accommodation offering spotlessly clean rooms with complimentary breakfast that includes mainly Thai plates like fried rice, noodles along with sausages and eggs. 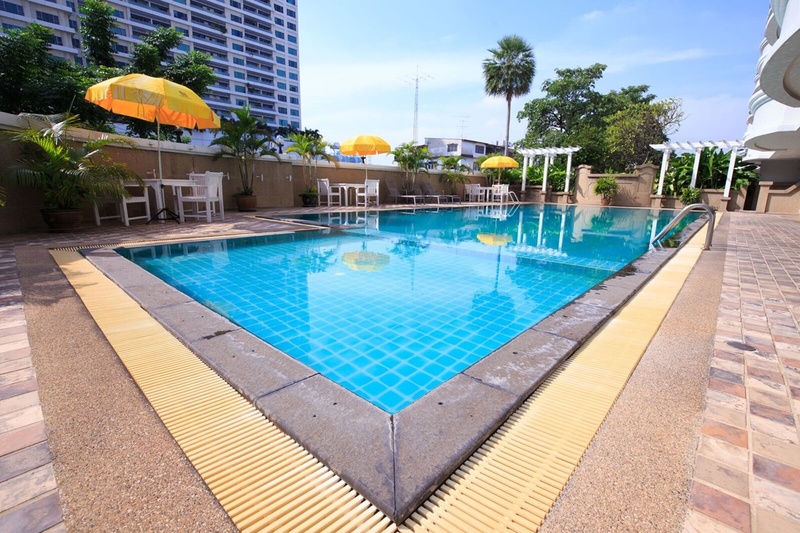 Pristine rooms, a beautiful swimming pool and free shuttle service to the nearest BTS station are few other highlights of this hotel. 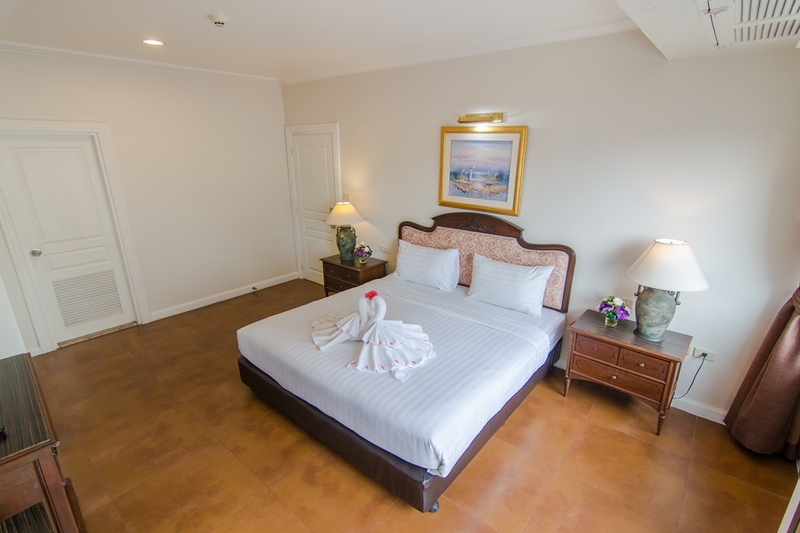 Above all, the staff is quite welcoming and there is a nightlife and a 7-Eleven store close by. 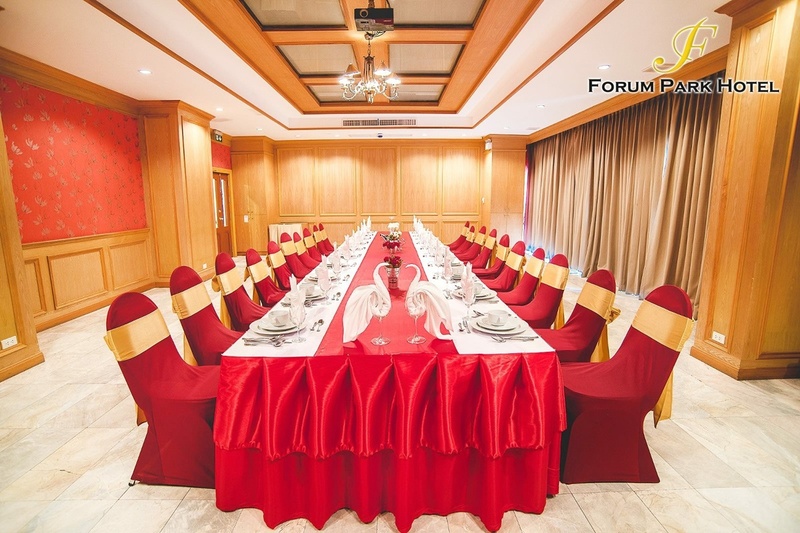 Forum Park Hotel is a serene hotel with best-class facilities and services. 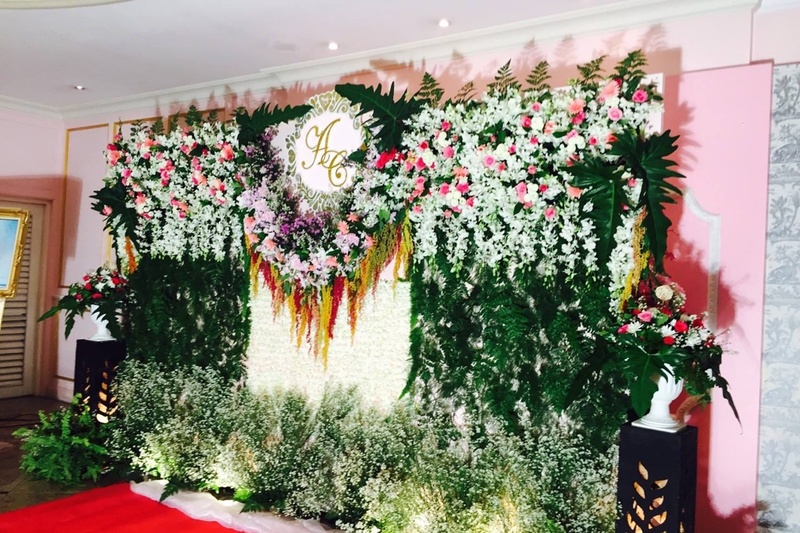 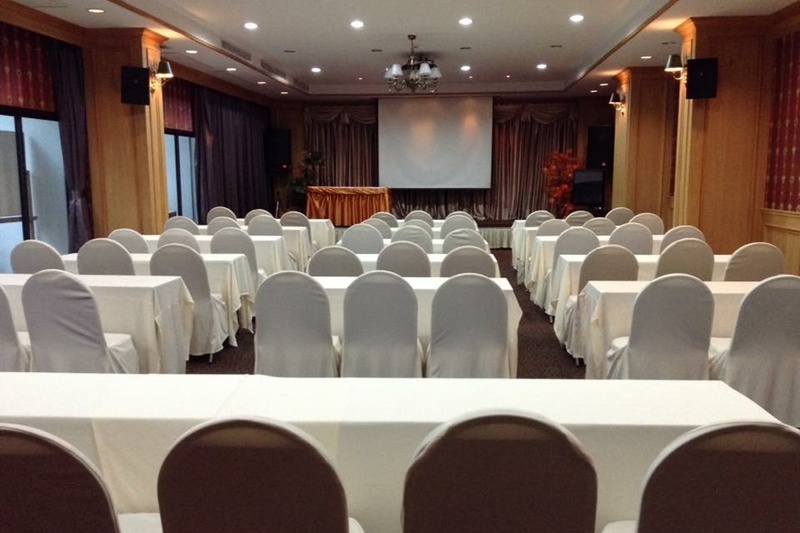 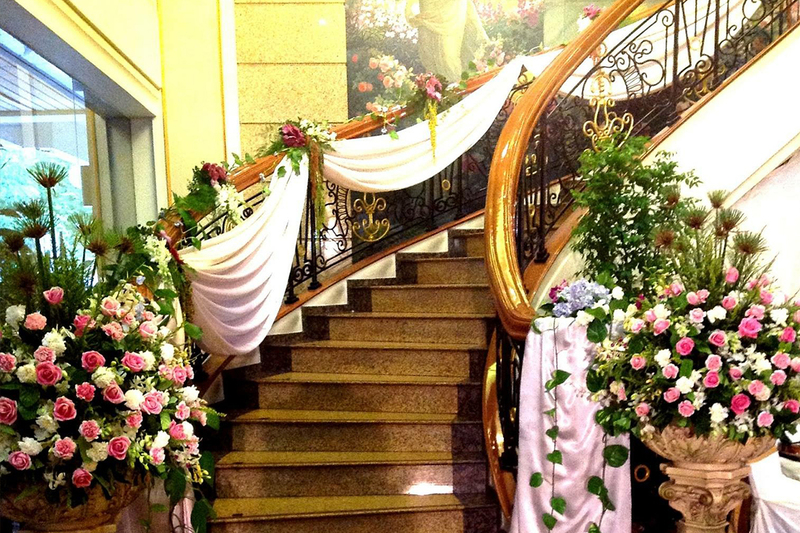 The hotel is located in the Sathorn area of Bangkok on Chan Road near the Naradhiwas - Rajanagarindra Road junction. 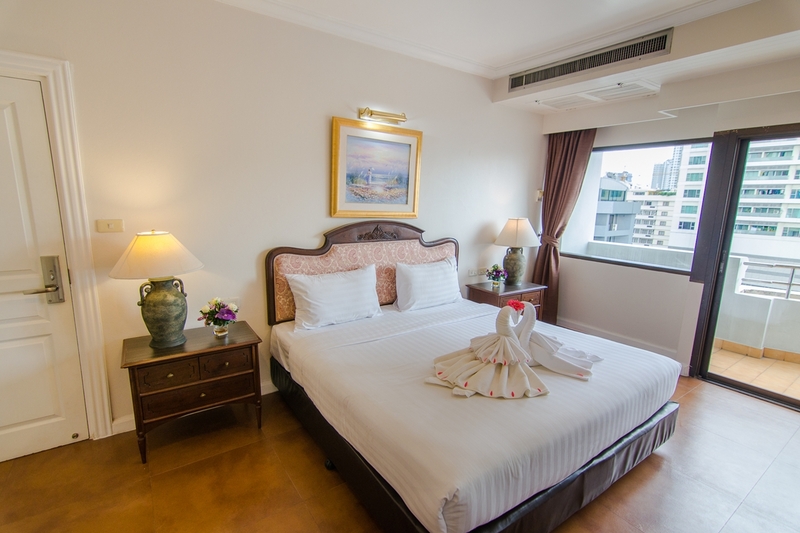 Sathorn Road, Silom Road, and Chong Nonsi BTS station are in the close vicinity of the hotel. 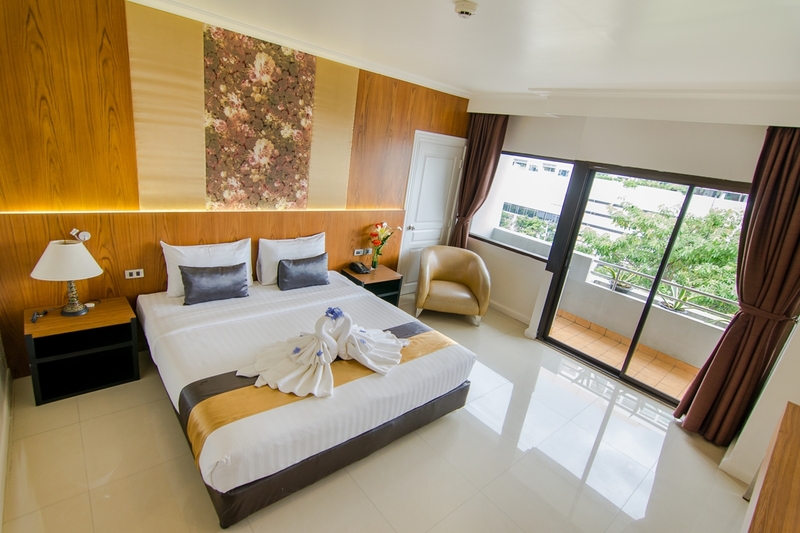 Forum Park Hotel Bangkok offers a wide opportunity for shopping due to its closeness to the famous shopping centres of Bangkok like Makro, the Central Department Store on Rama III, and Tesco Lotus. 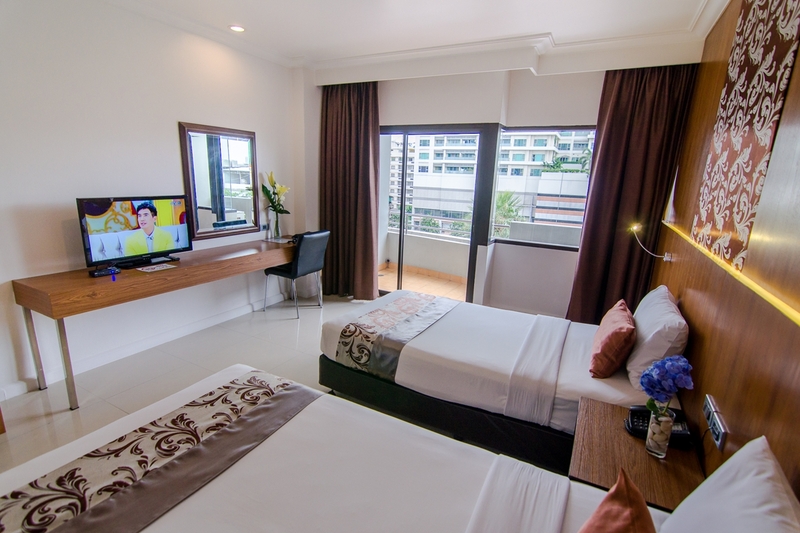 The popular Patpong Night Market is located near the hotel which can be easily accessed and explored. 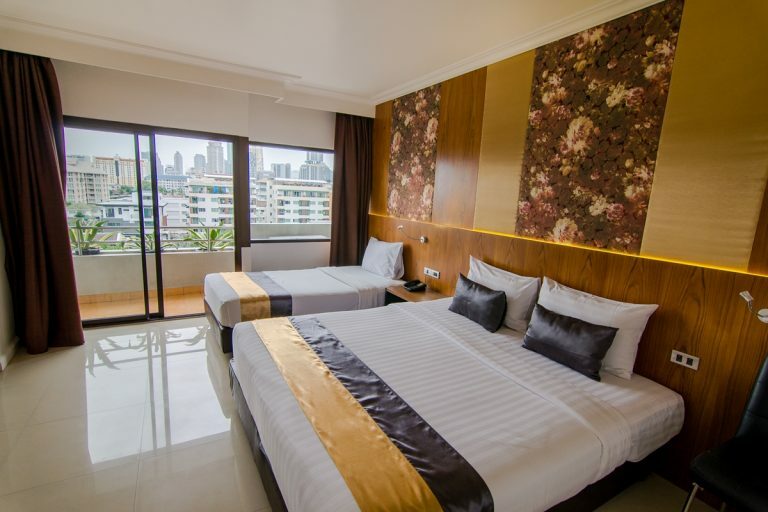 The ideal location of the hotel near the business and entertainment centres makes the hotel most preferred for staying on both business and leisure purpose. 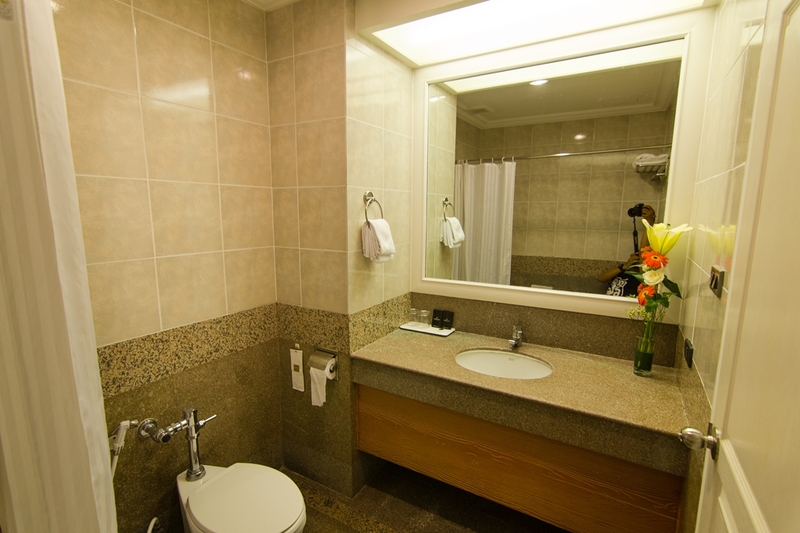 The modern amenities in the hotel is an inviting factor for the visitors. 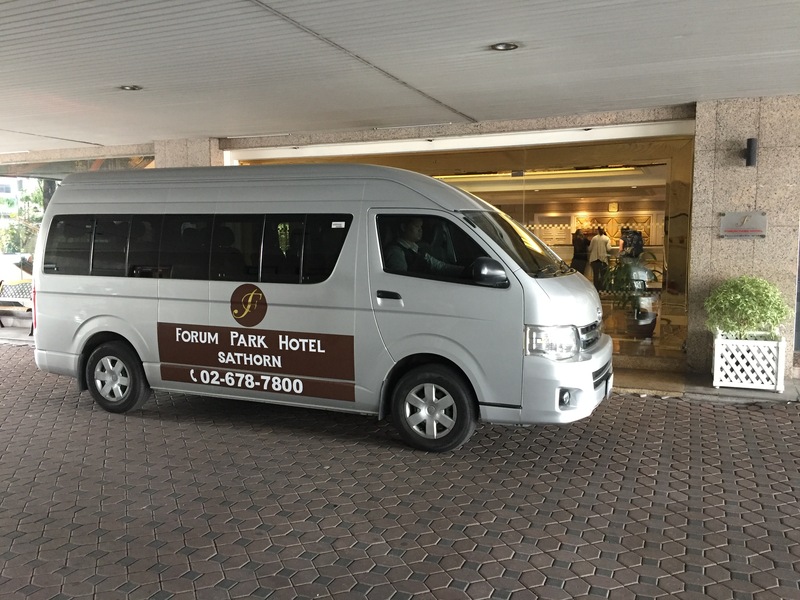 The high standard of accommodation provided in the Forum Park Hotel is suitable for business travelers. 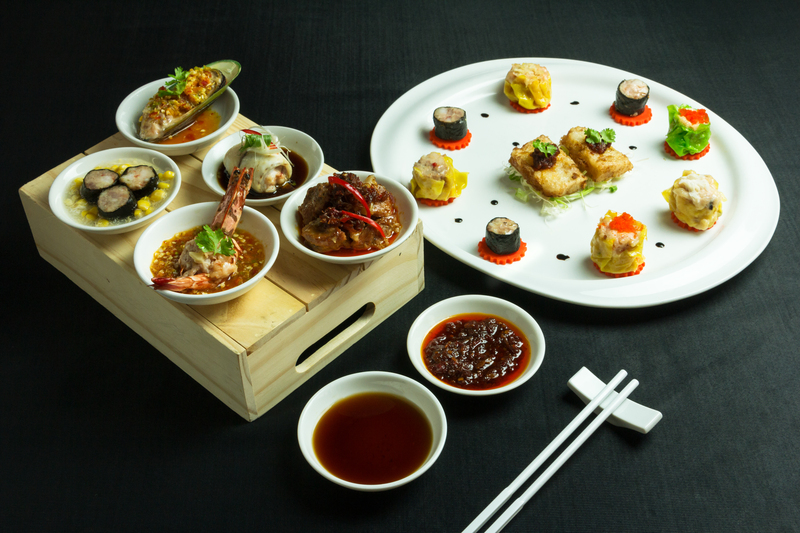 Relish on the delicious food menu and amazing drinks at the exquisite restaurant and bar of the hotel. 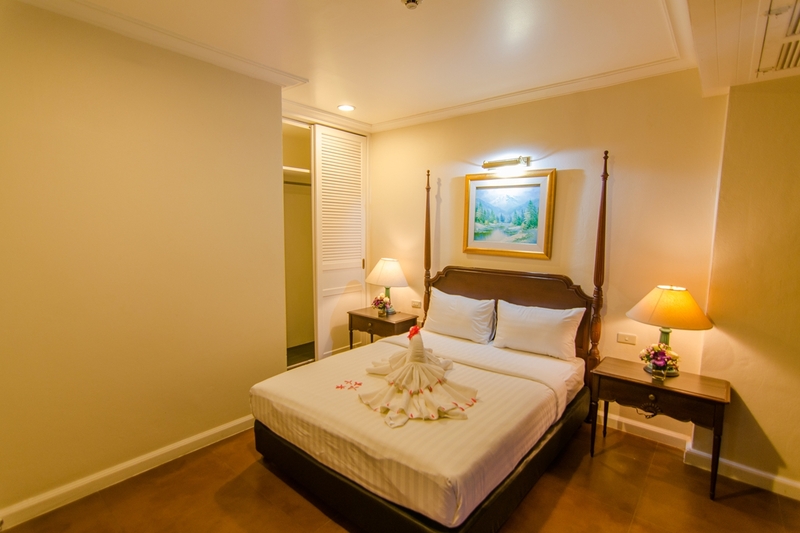 The hotel includes 116 rooms with a variety of comforts. 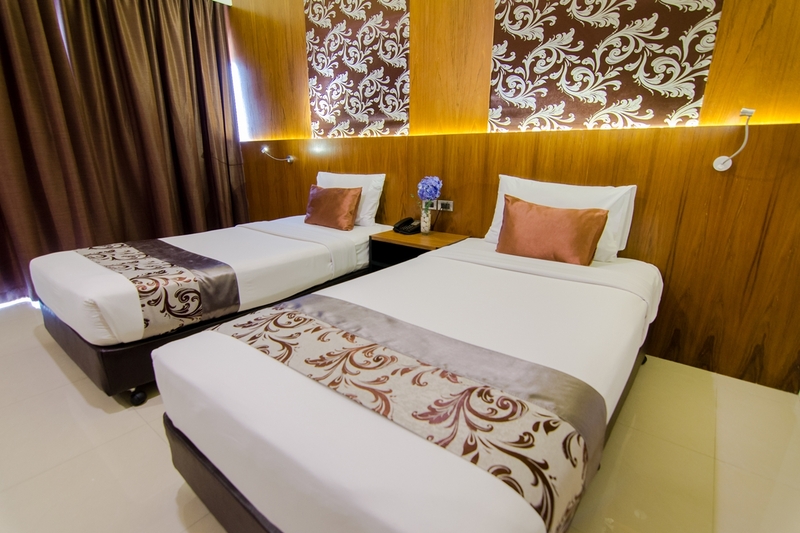 Deluxe King or Twin Balcony has 30 Sq.m. 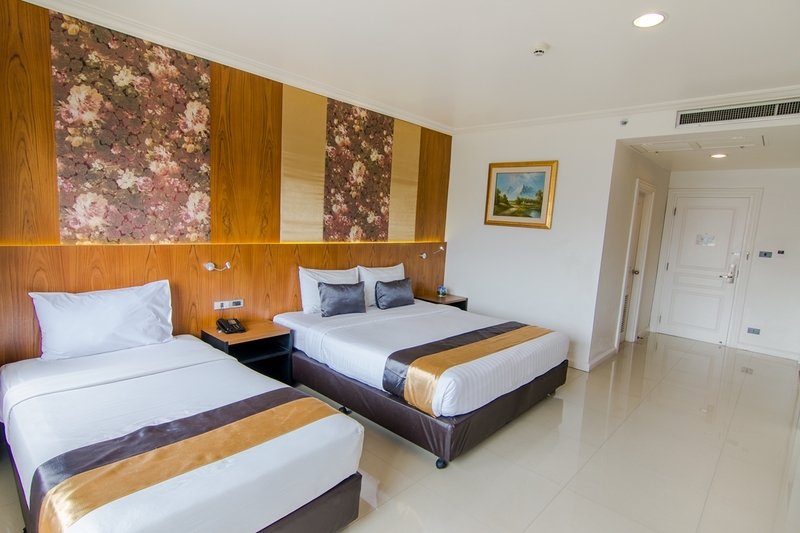 area, Deluxe Triple Balcony is 32 Sq.m. 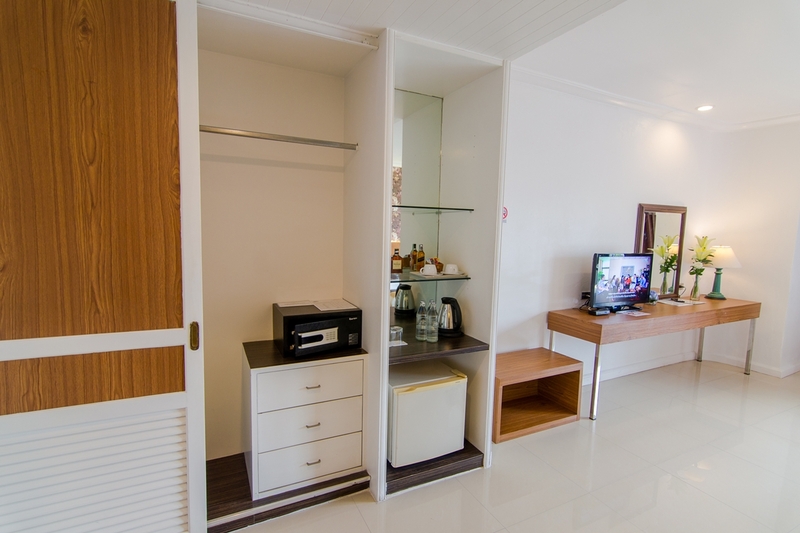 with one bedroom with kitchenette. 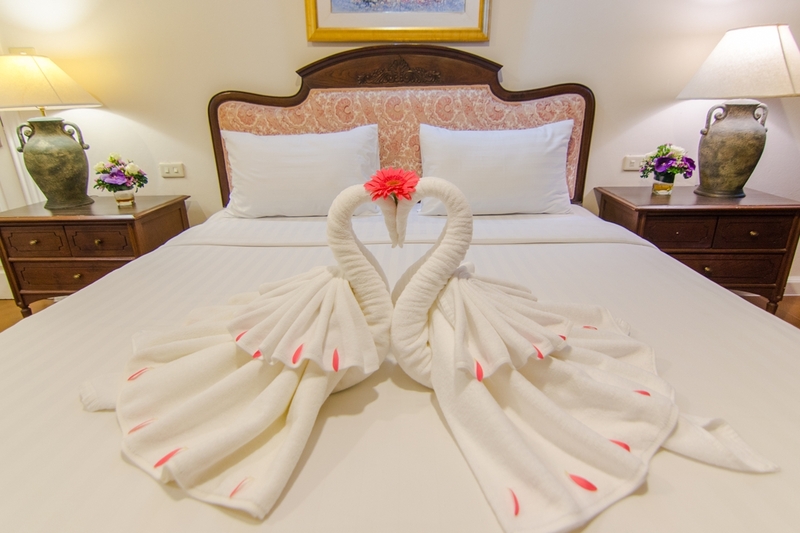 Family Two Bedroom Suite is the largest accommodation in the hotel with 75 Sq.m. 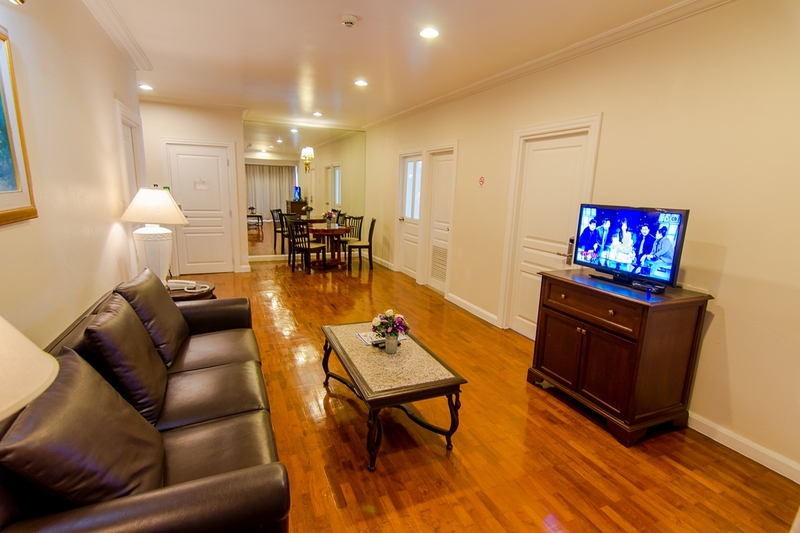 area and two bedrooms, separate living rooms, and a kitchenette. 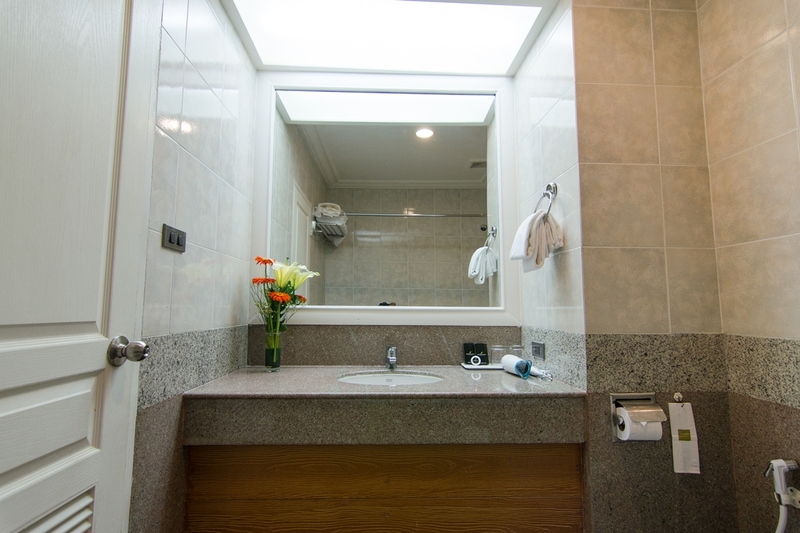 The bathroom includes a luxury bathtub and hot shower. 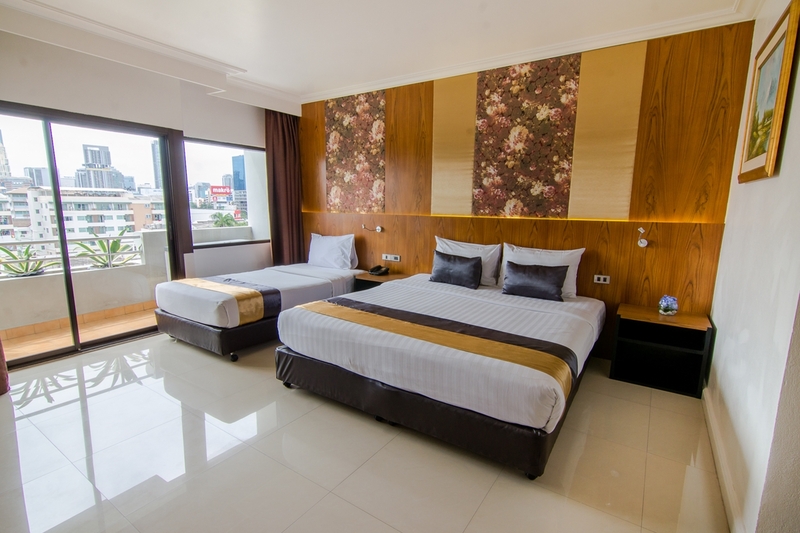 All the rooms have a private balcony with outstanding city views. 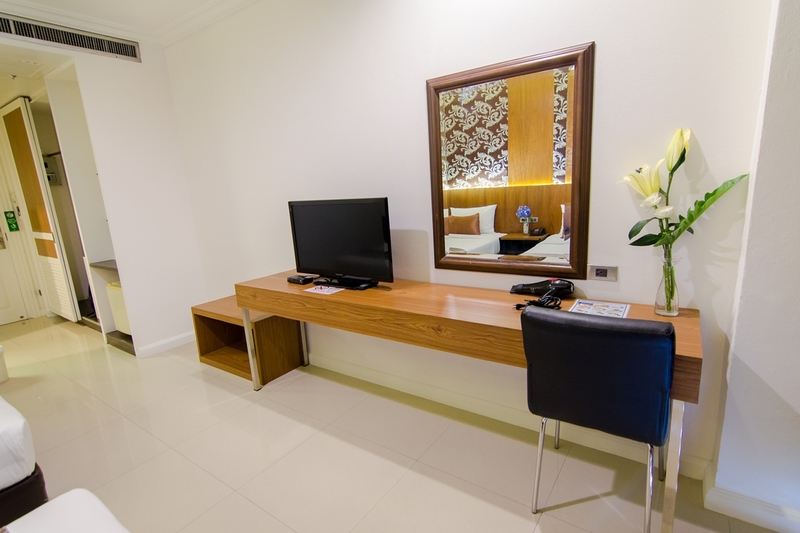 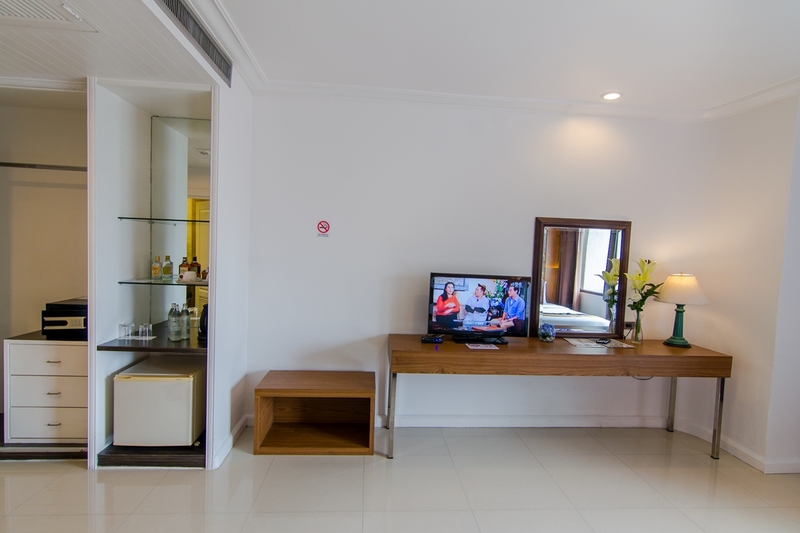 Flat screen TV with DTH connection, complimentary bottled drinking water, Free Wifi, in-room safe and mini fridges are the standard amenities available in all the rooms. 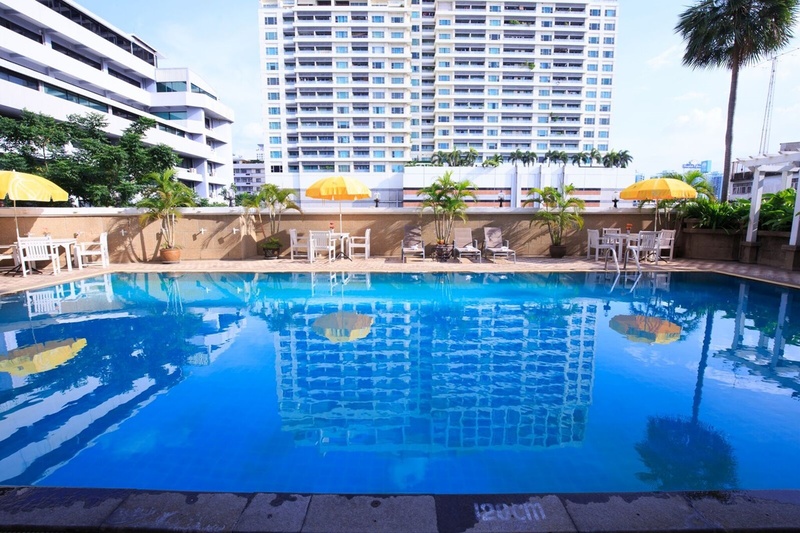 Forum Park Hotel Bangkok Child-friendly lots of sophisticated amenities which ensure a heavenly experience for the guests. 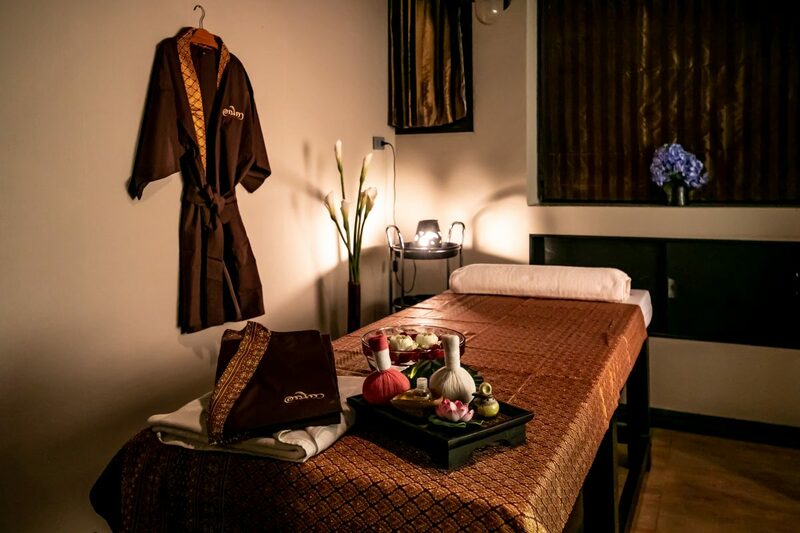 Elyrest Spa & Massage in the hotel is the right place to get rid of daily stress and tension by taking excellent spa treatments. The guests can take sunbathing while savouring delectable snacks in the elegant swimming pool of the hotel. 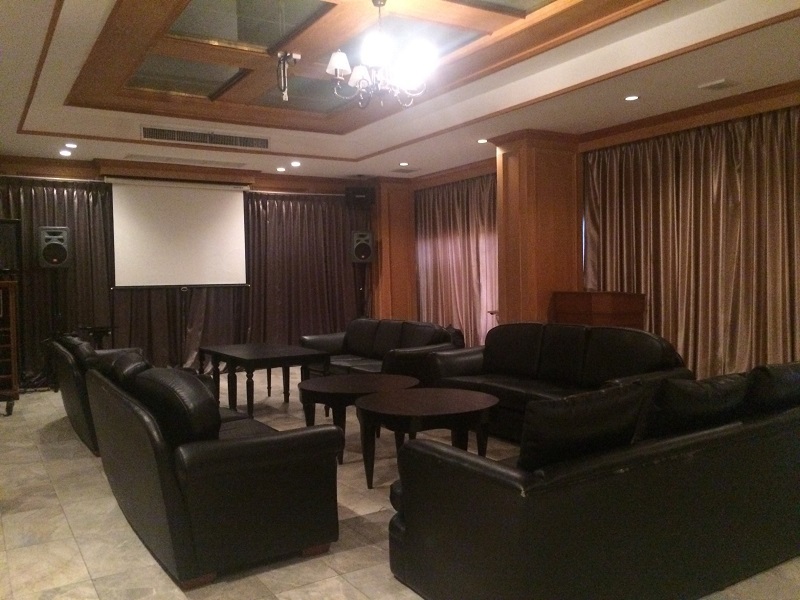 Karaoke zone in the hotel is the perfect spot to sing and party with near and dear ones. 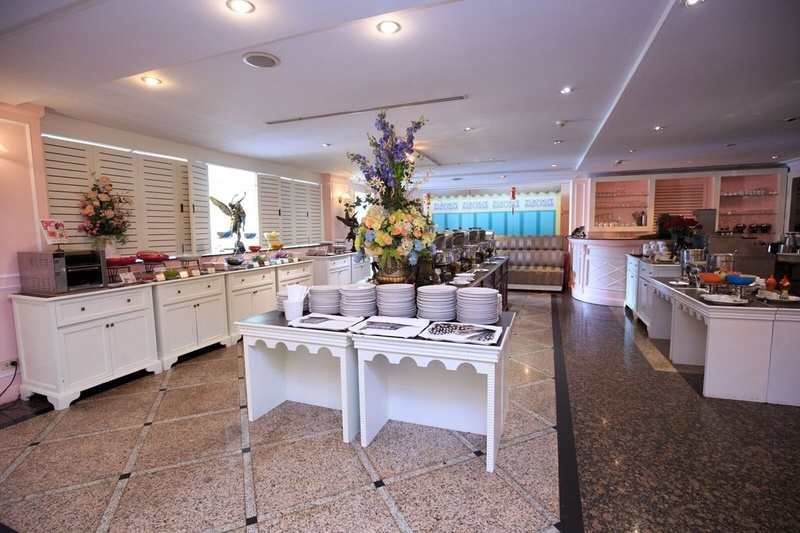 Delicious food and drinks are served here to give extra energy to the guests for wild partying. 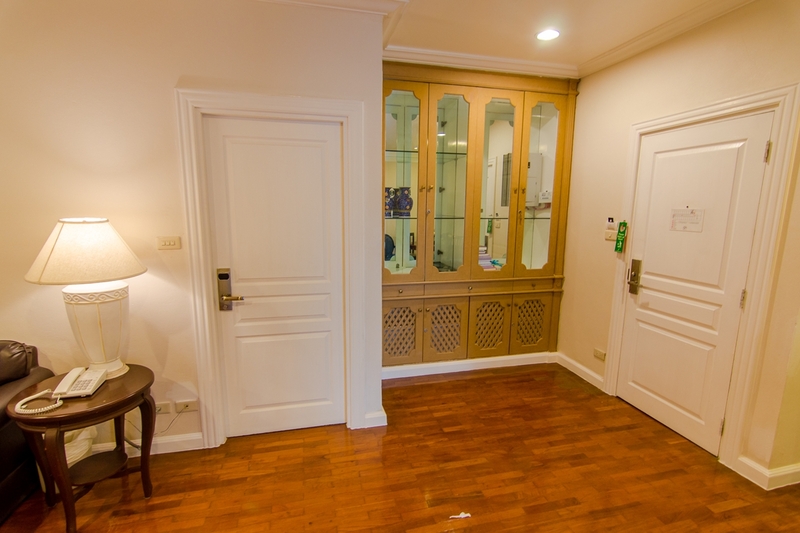 Sauna in the hotel promises complete relaxation and rejuvenation. 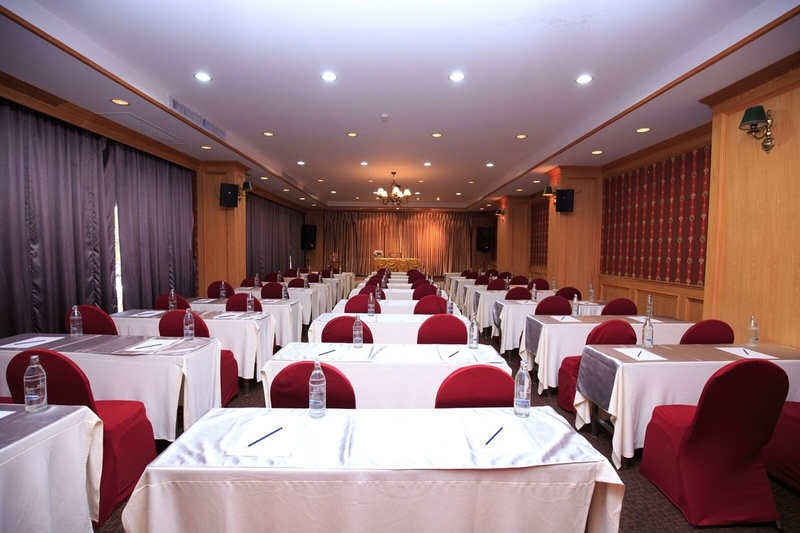 Four venues are available in the hotel to conduct meetings, business events, special occasions, and weddings. 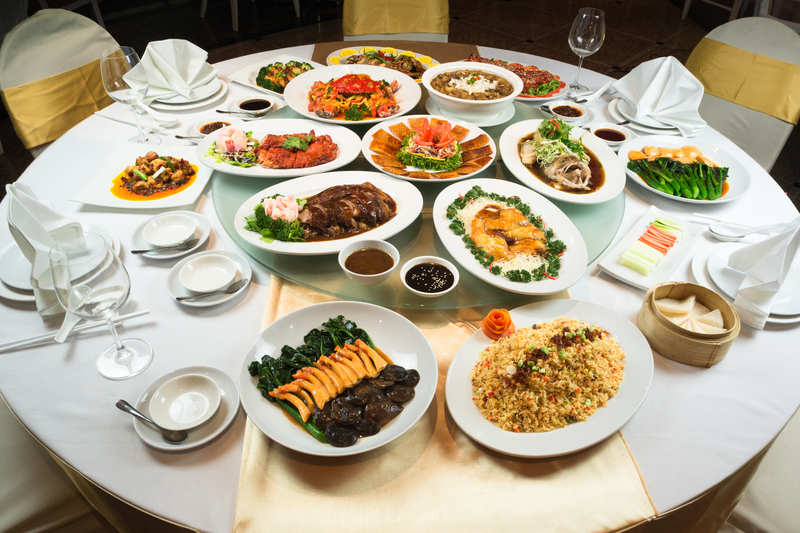 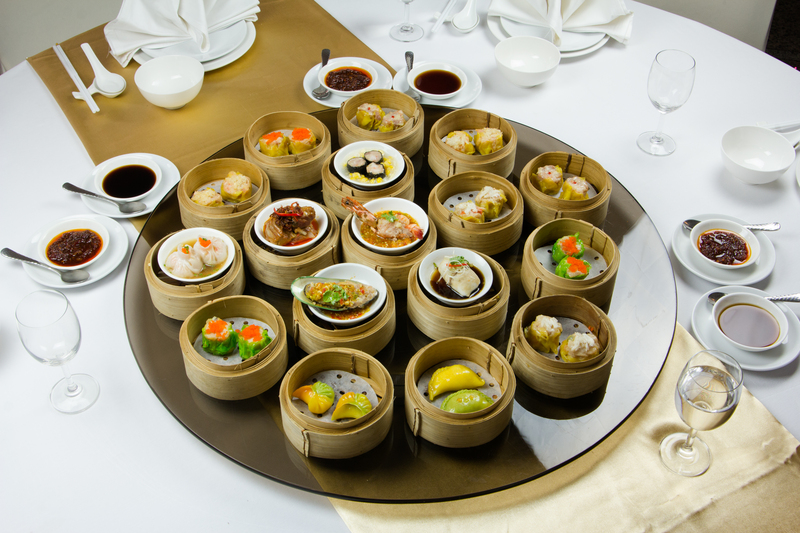 Dining is the best part of staying in the Forum Park Hotel Bangkok. 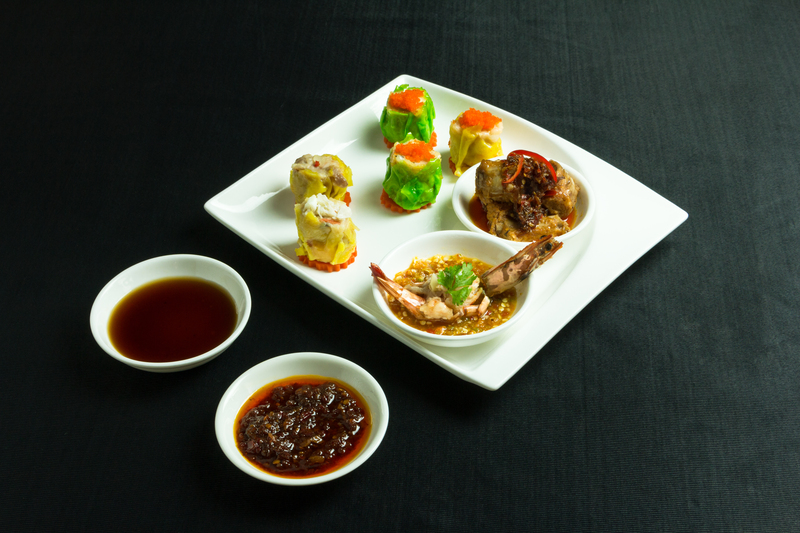 Smirve Bar & Bistro is the main restaurant in the hotel offering Thai and Chinese menu. 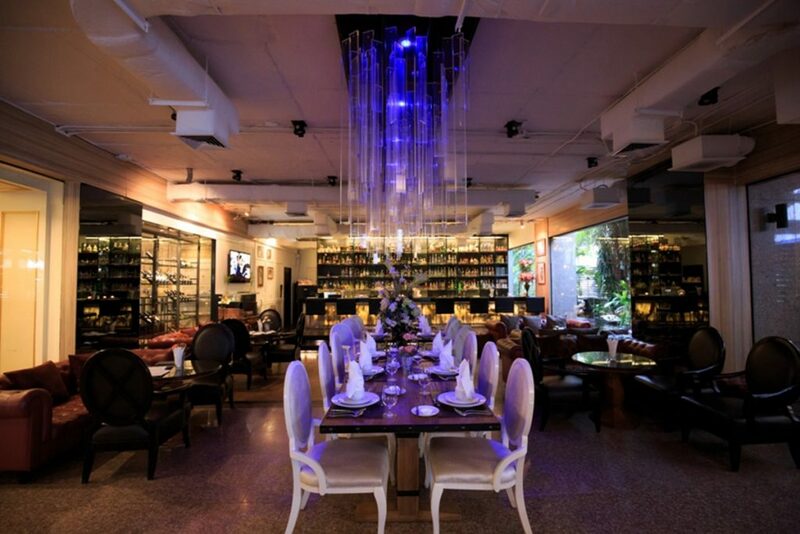 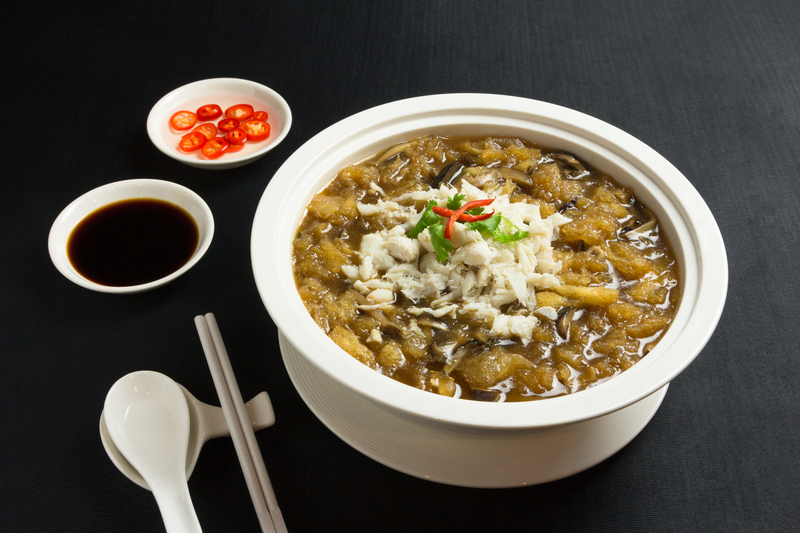 The ultra-modern interior and classy menu ensure a perfect dining experience to the guests. 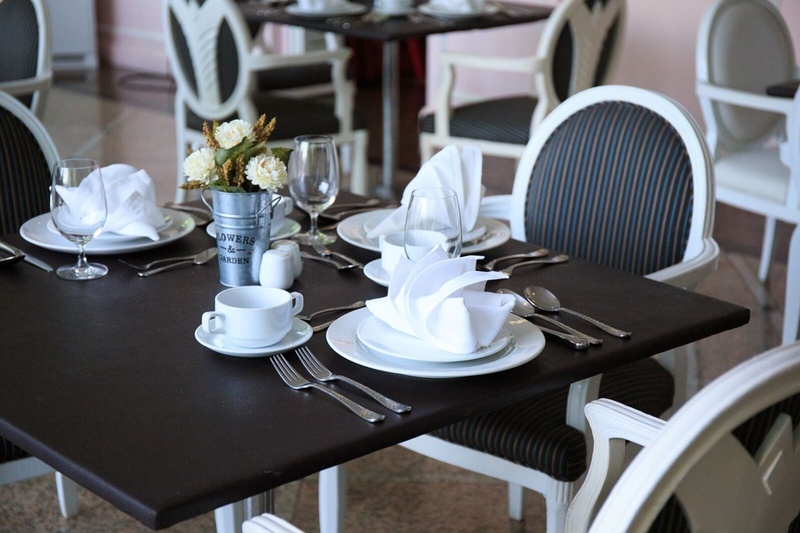 The restaurant is suitable for refreshing breakfast, takeaway lunches or relaxing dinners. 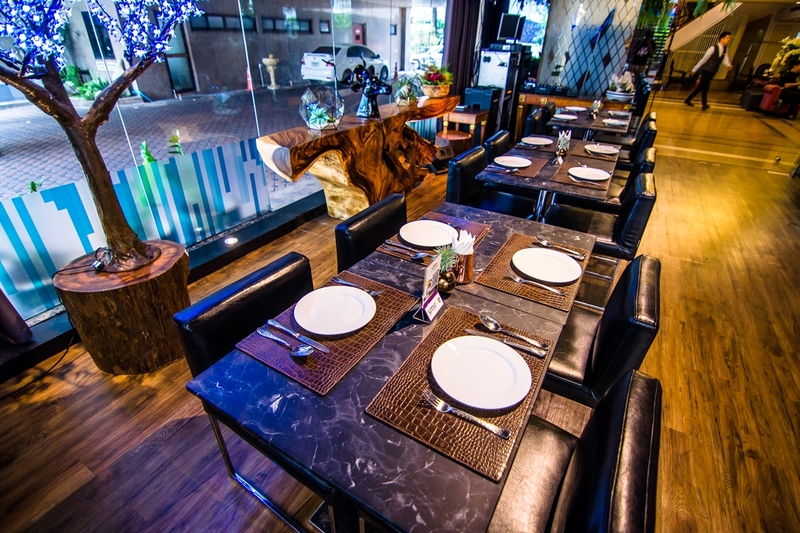 The restaurant can accommodate up to 200 people. 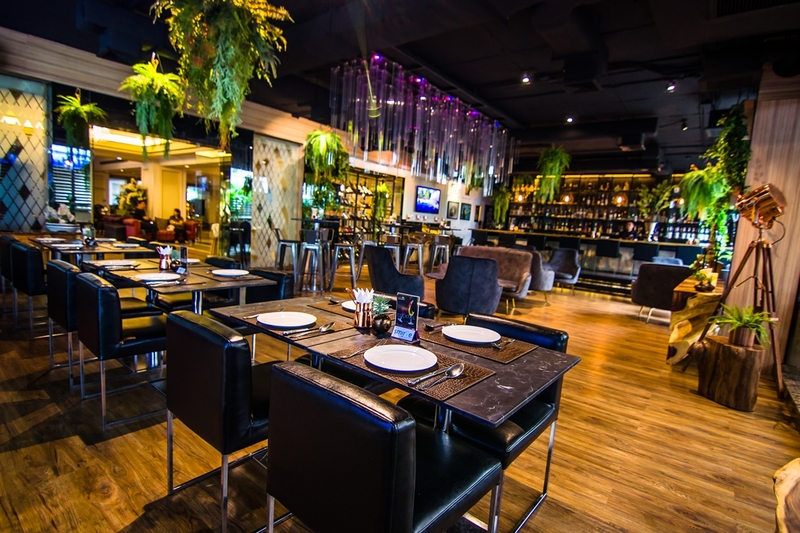 Smirve Lobby Bar offers a wide variety of drinks along with fine dining options from the fusion menu. 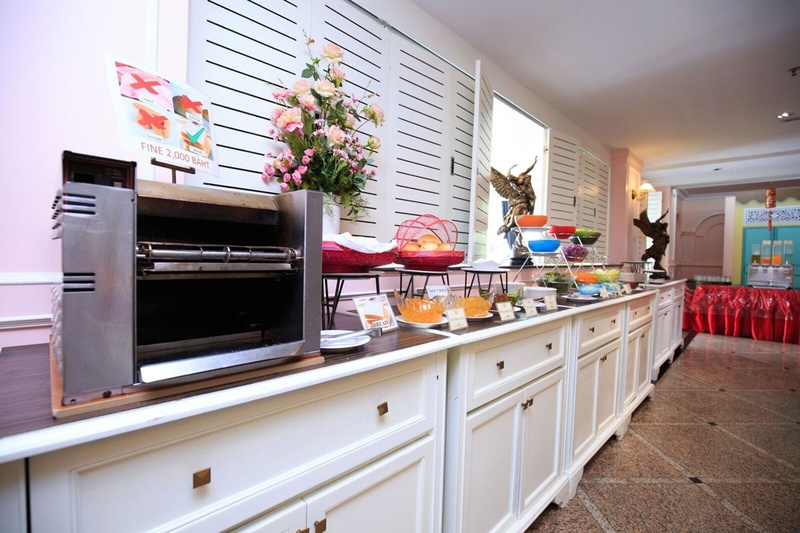 Pasta is the must-try in the bar. 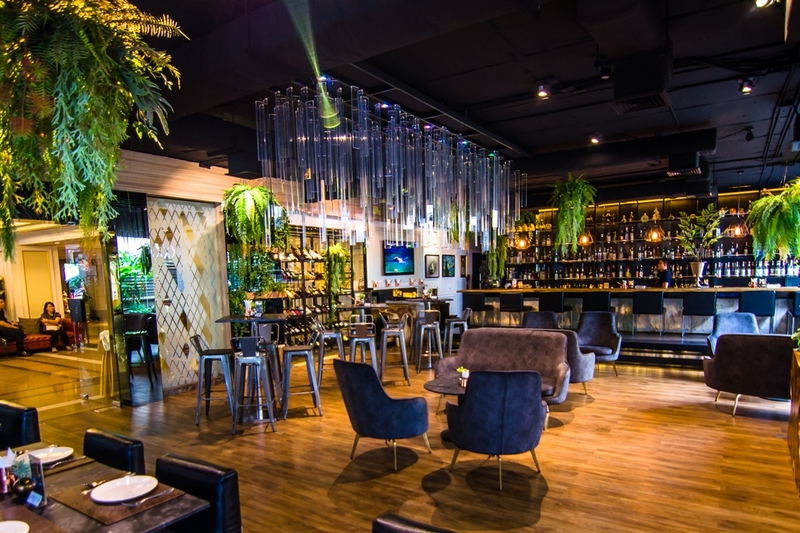 The innovative cocktails can be relished in the bar. 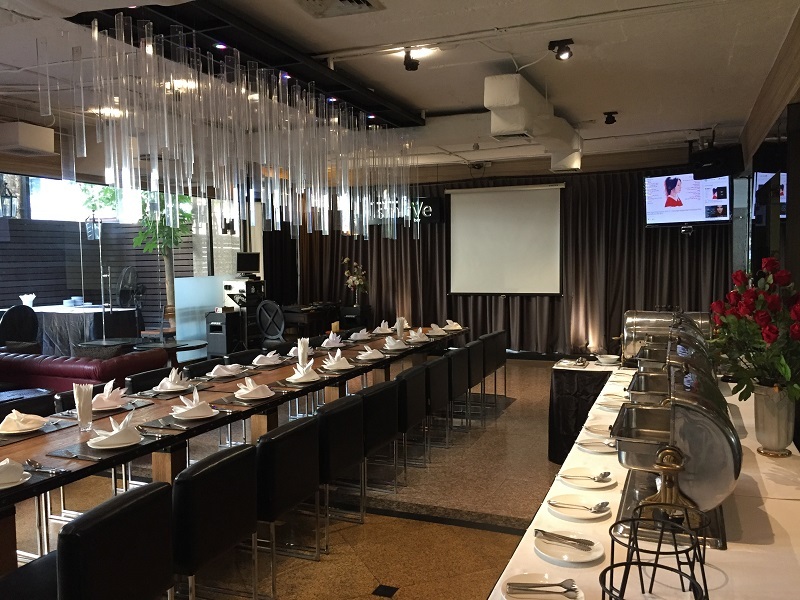 The bar can serve up to 60 people. 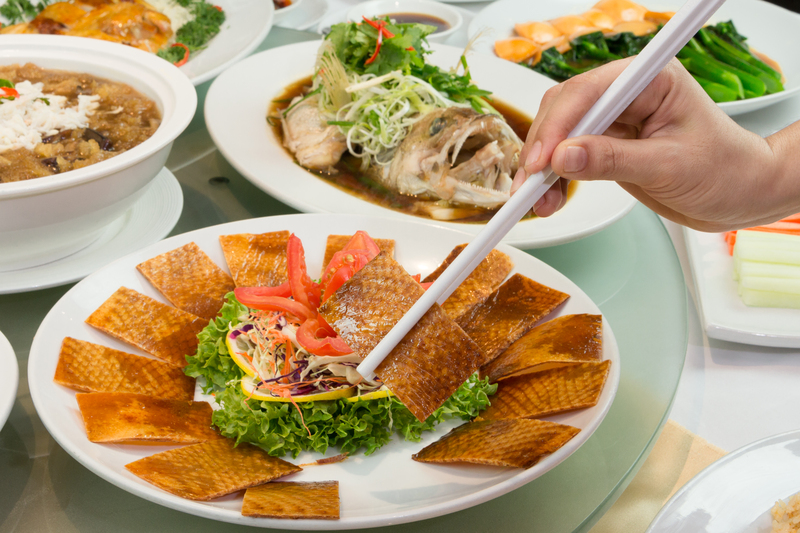 Delicious food and drinks are served at the karaoke centre. 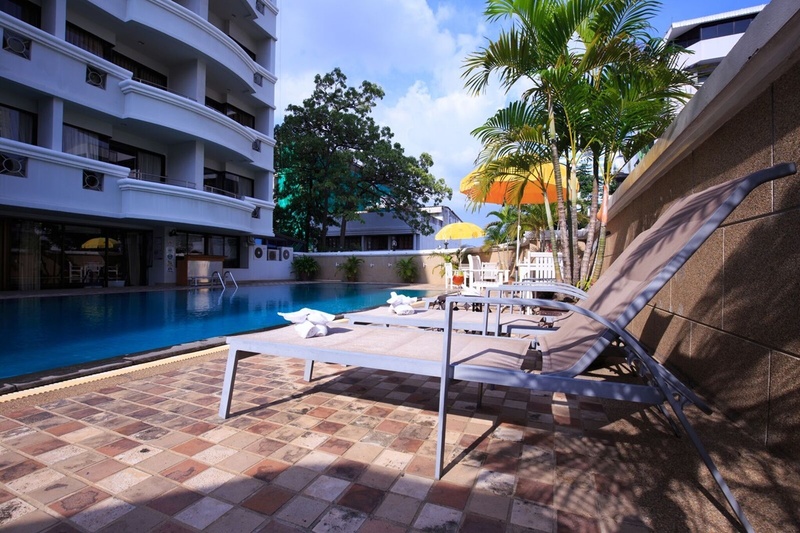 Forum Park Hotel Bangkok is a wonderful accommodation located in the hot and happening area of Bangkok. 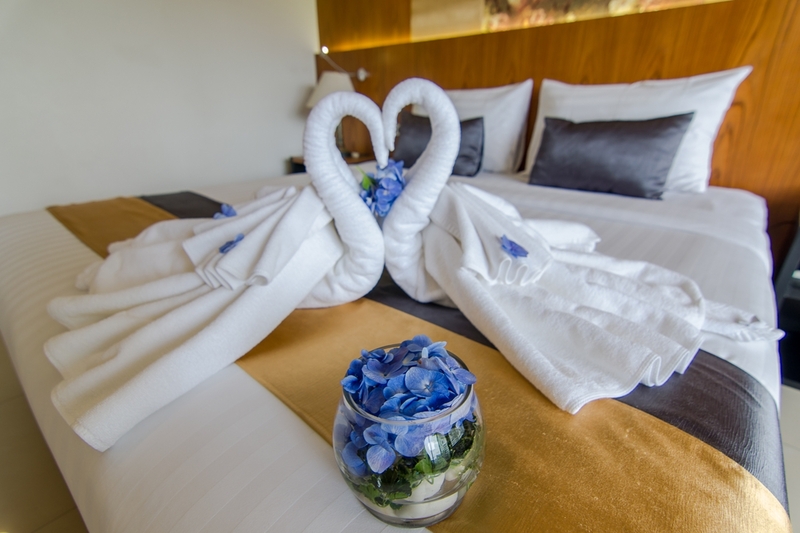 Luxury facilities and seamless services can be enjoyed every minute of the stay in the hotel. 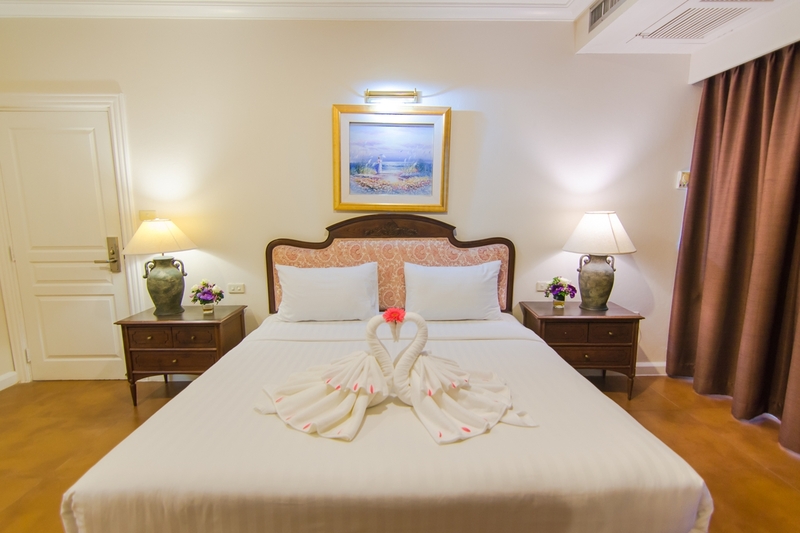 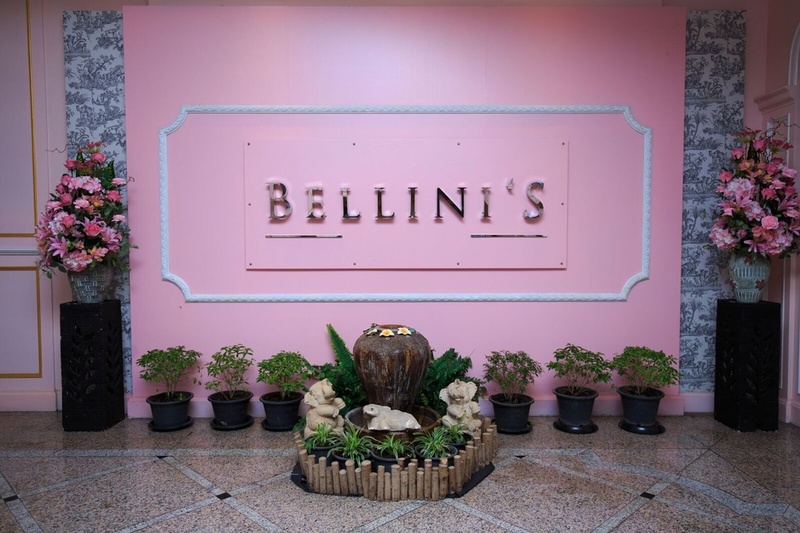 The hotel has almost everything to create unforgettable memories in Bangkok. 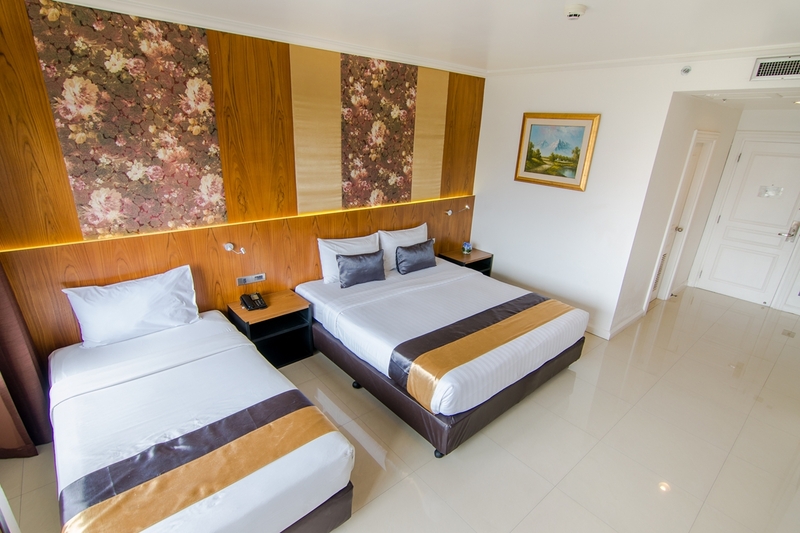 What is the driving distance between the hotel and the airport? 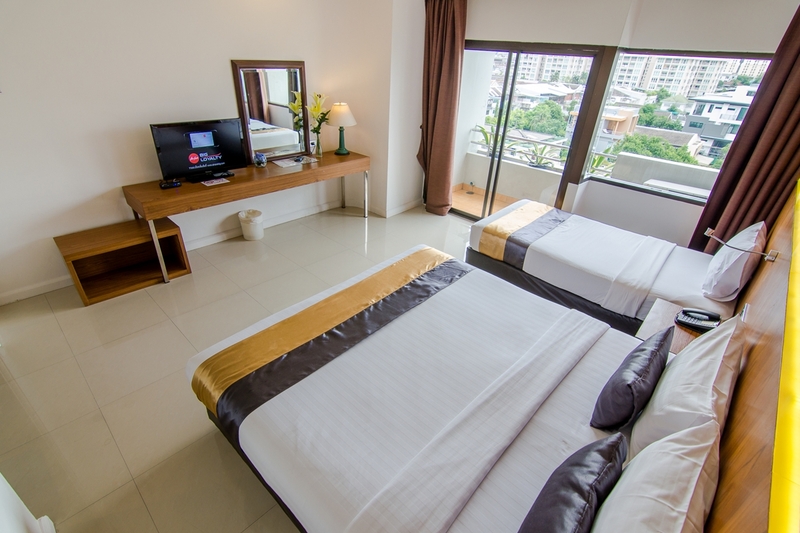 The driving distance between the hotel and Suvarnabhumi International Airport is approximately 35 minutes. 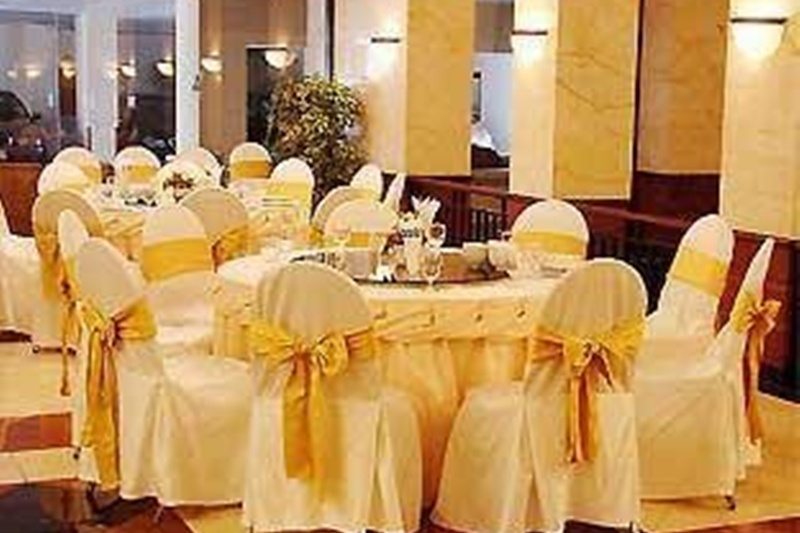 Yes, the hotel provides beauty services like haircuts, styles, pedicures, manicures, and makeup applications. 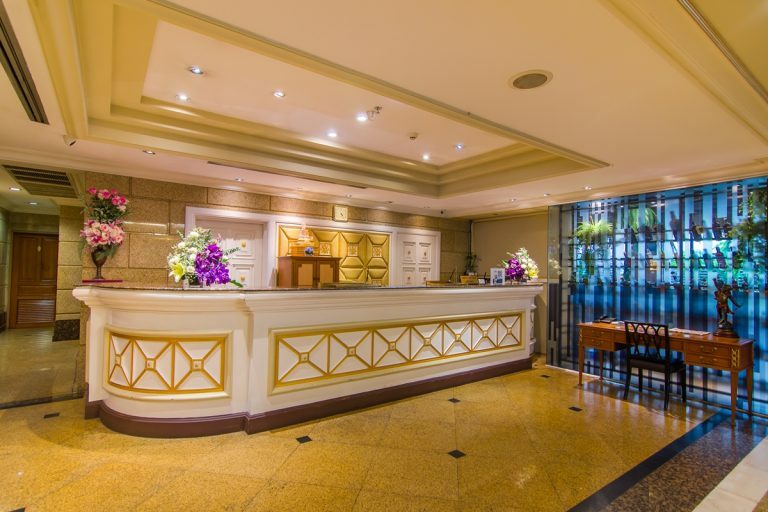 Yes, the hotel has a currency exchange facility. 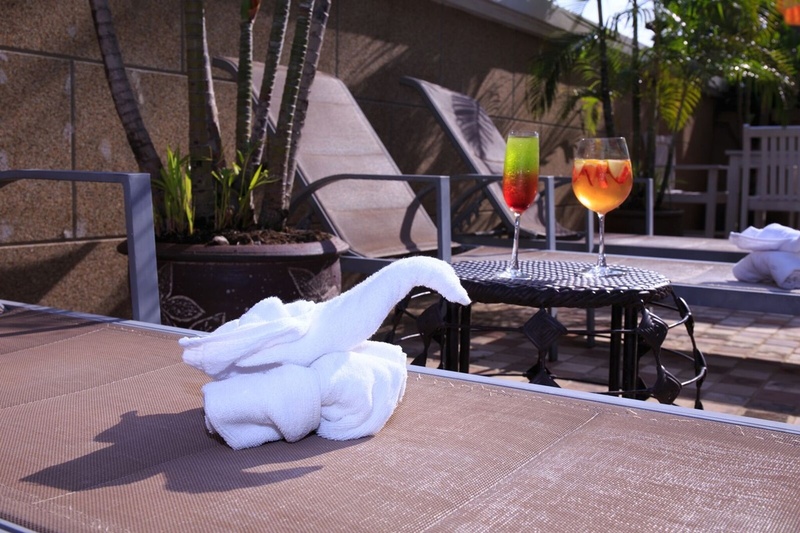 Name some spa treatments offered in the hotel? 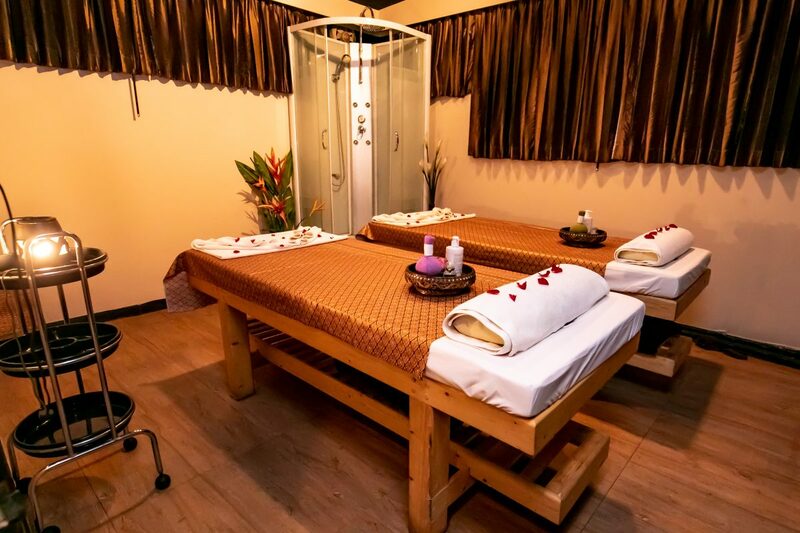 The hotel offers a wide array of treatments like Thai Traditional Massage, Head Neck & Shoulder, Foot Reflexology, Oriental body Massage, Aromatherapy oil Massage, Body Scrub, Body Wrap, Facial Treatment and Herbal Hot Compress. 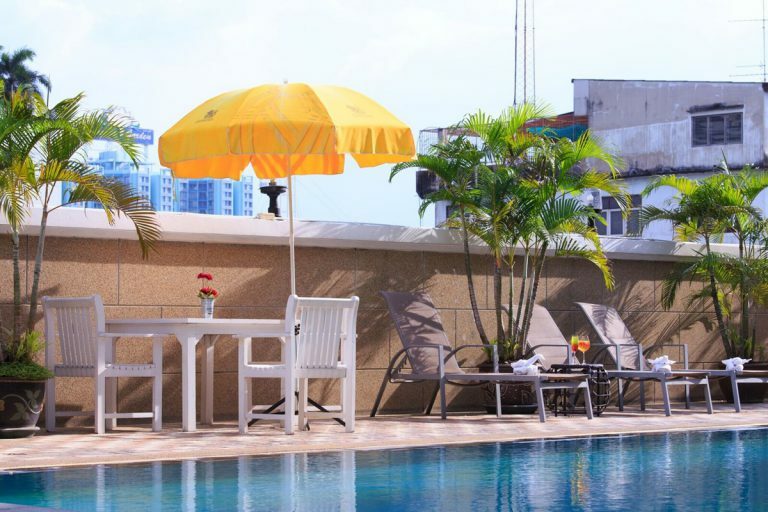 Is there a kids pool in the hotel? 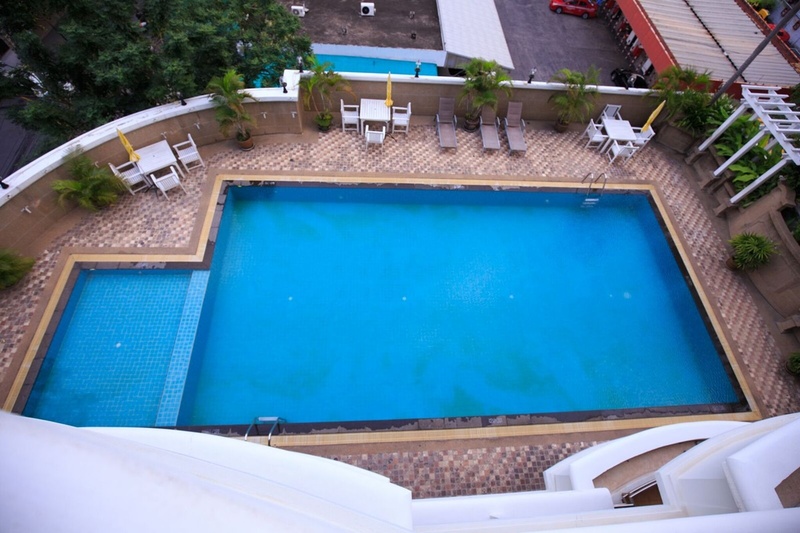 Yes, the hotel has a beautiful kids pool. 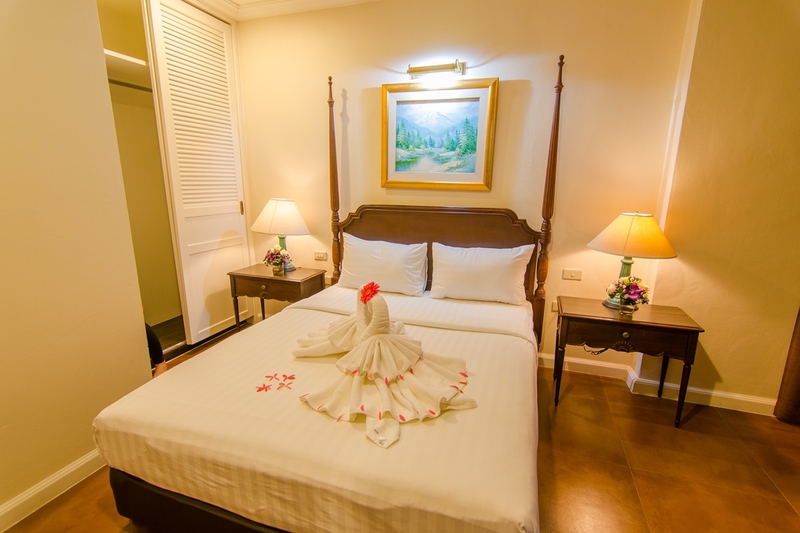 Forum Park Hotel is a complete kit of luxury facilities and splendid services. 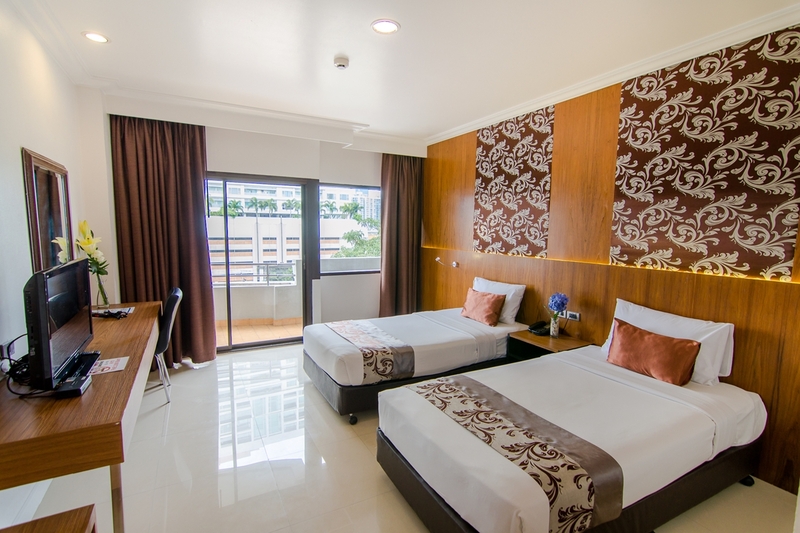 The great location in the business and entertainment district is the highlight of the hotel. 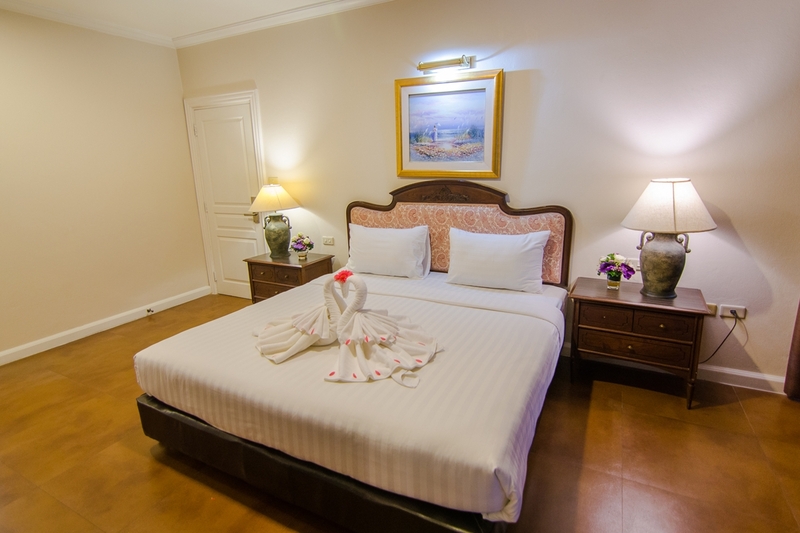 The hotel strives towards ensuring the best stay for the guests by providing ultimate cosiness and comfort. 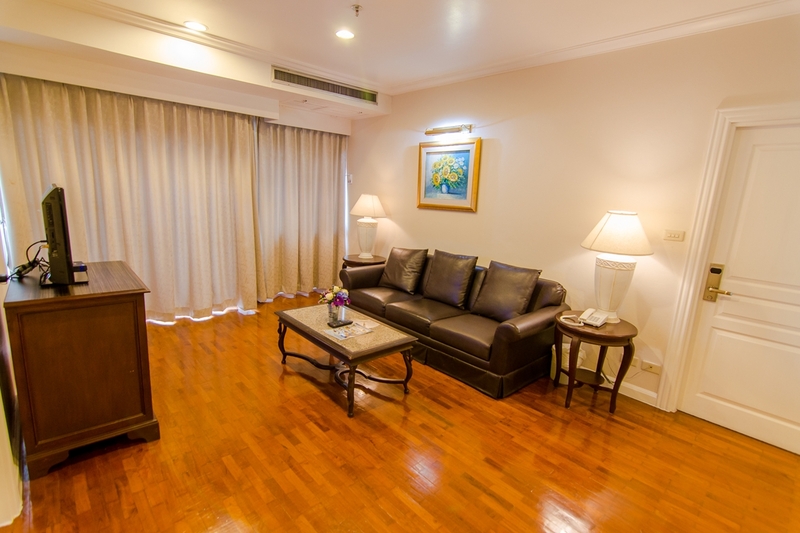 The sophisticated dcor of the hotel gives a royal feel to the guests. 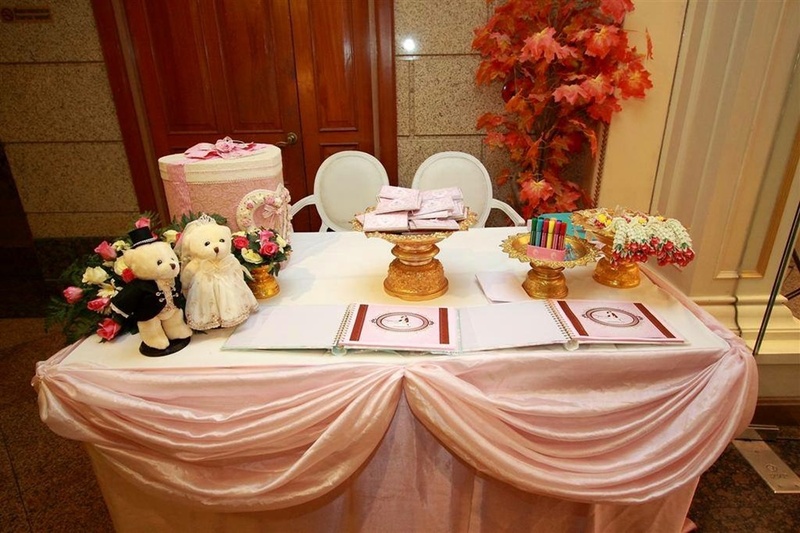 The friendly staffs assist the guests with all the needs. 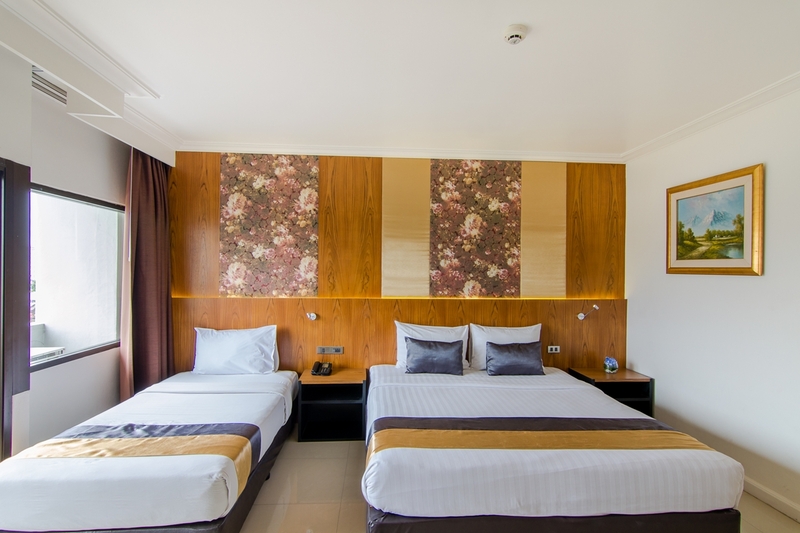 The world-class rooms with stylish interior offer the best accommodation. 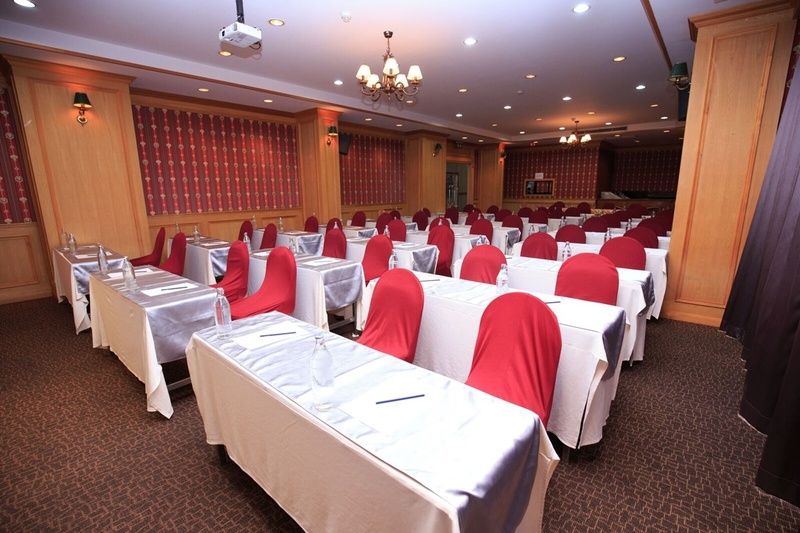 Complimentary Wi-Fi service provided throughout the hotel is a great attraction to the social media buffs. 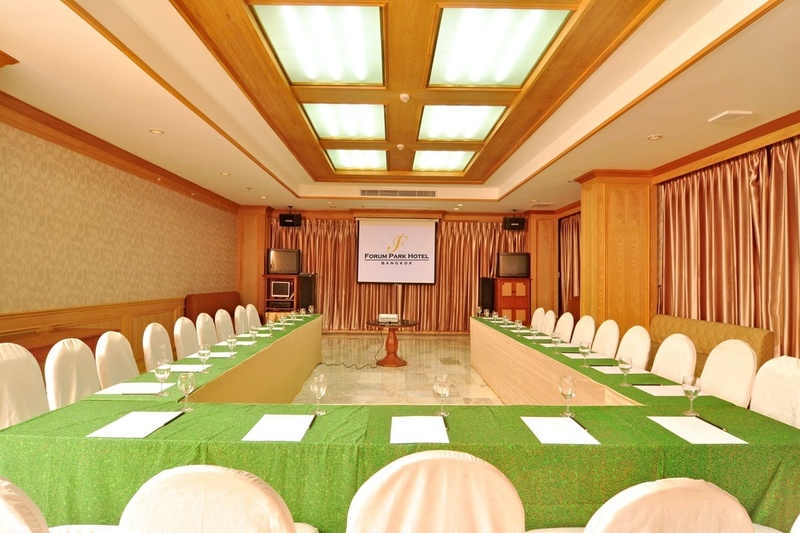 The guests can enjoy an informal party or a professional meeting with commendable services in the hotel. 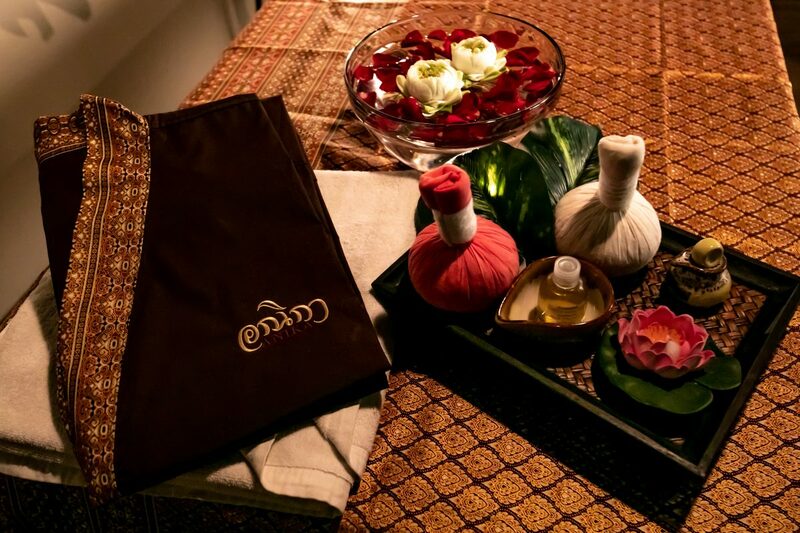 Exceptional spa services are offered in the hotel. 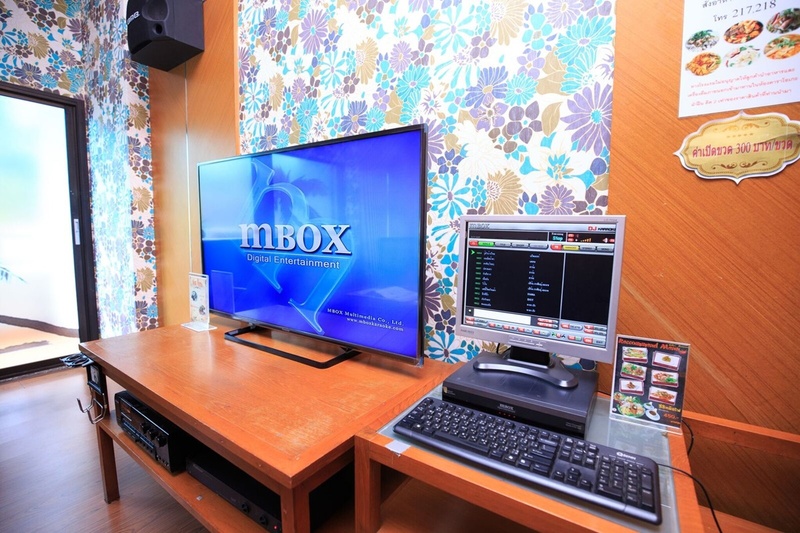 The karaoke room with attached bathroom and dining area allow a group of guests to get excited and enthralled. 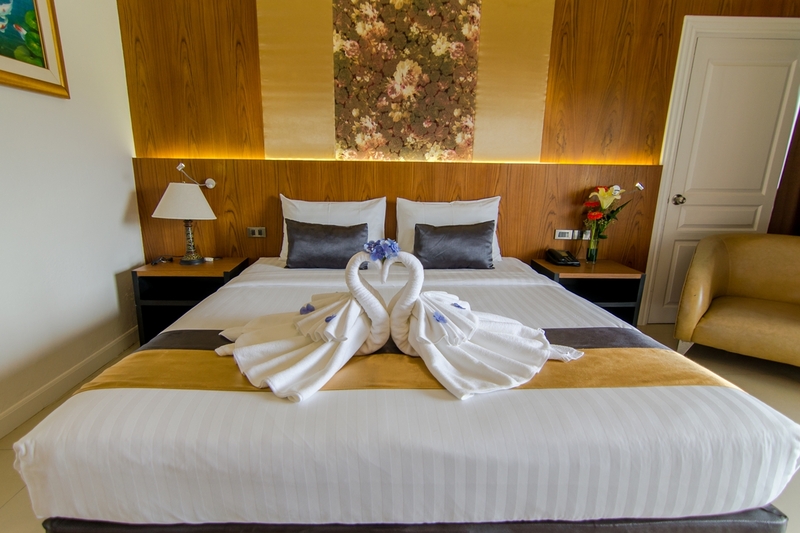 Forum Park Hotel is the perfect combination of luxury and comfort. 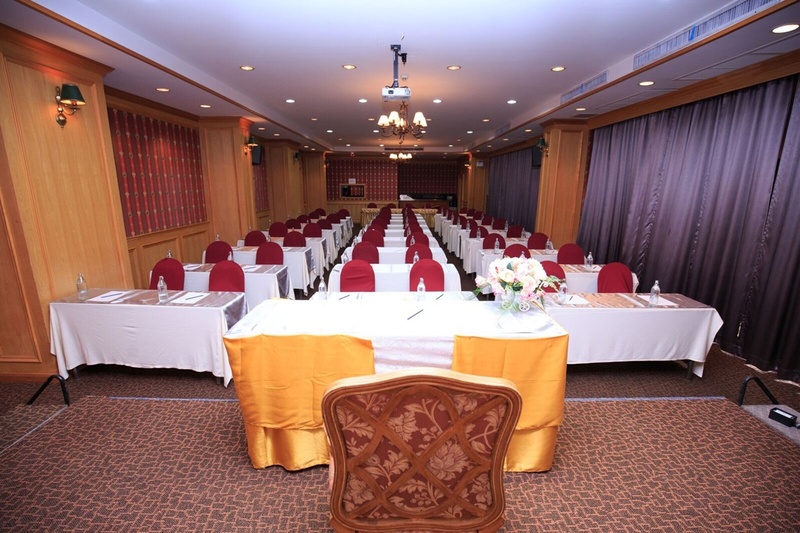 Overall, Forum Park Hotel is truly a paradise for distinguished guests.